MUSIC: HIGH TENSION WELCOMES NEW MEMBER TO THE FOLD AND WINS BEST HEAVY ALBUM AWARD AT THE AGE MUSIC VICTORIA AWARDS. With a tear to their eye, HIGH TENSION waves goodbye to Drummer and founding member Damian Coward as he has moved to the opposite side of the country to focus on getting a real tan, cocktails and maybe even a career in mining. Life doesn’t sound too bad, does it? Last Night, HIGH TENSION knocked out King Parrot and Ne Obliviscaris for the award of Best Heavy Album at last night’s The Age Music Victoria Awards. Welcome Lauren Hammel as she settles in and belts her way through all upcoming shows in New Zealand and Laneway Festival 2016. 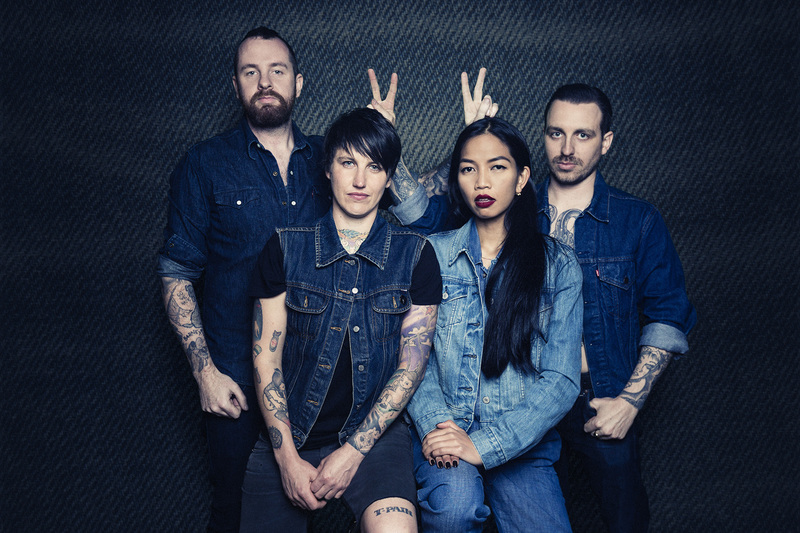 Lauren Hammel joins Karina Utomo (Young and Restless), Matt Weston (The Nation Blue) and Mike Deslandes (Coerce) and rounds up this sick team of heavy punk overlords ready to conquer the world. Brutal. Previous postEVENT: MYTHS AND FOLKLORE 2 Next postMUSIC: SEVENDUST ANNOUNCE AUSTRALIA AND NEW ZEALAND TOUR.